Welcome to the Taylor Hockey Photos information page. Below you’ll find links to each group. From there you should be able to recognize your own kids. Let me know if you can’t spot them. All the pictures should be up but there’s a chance something went haywire. The links below will take you to our ordering site. This is something new for us, so you’ll be stress testing it for us. Thank you for your patience. If you are having issues, just send me an email. As part of your hockey fees, you will be receiving one memory mate. 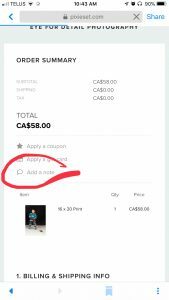 If you want to have a say in which photo gets used, simply pick your favourite picture, click on the order button and select “Memory Mate: $0.00”. We’re trying to get the photos back before Christmas, so the ordering deadline is December 8. We will be ordering all the pictures together. Orders placed after that will incur shipping charges. 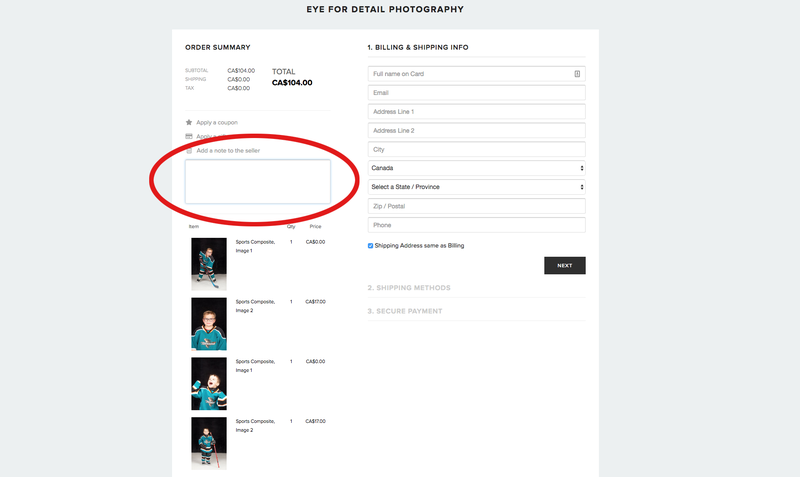 If you are ordering a composite or a hockey card, we will need the player’s name and, in the case of the latter, number. 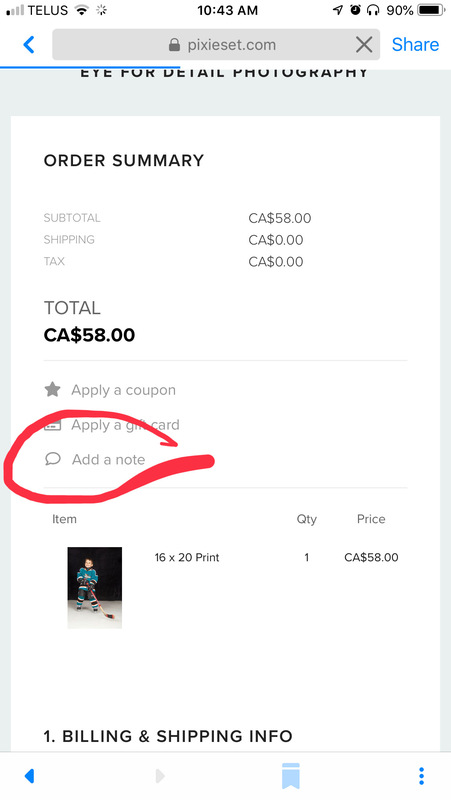 The easiest way to do that is to add a note to the order. See image below. If you have multiple kids in the order, just add them in order that they are in the order. Here is the order form. Remember, you only need this if you are planning on paying cash or cheque. Photos are still uploading as of 9:15; they should all be up soon. If you don’t see your/your child’s photo wait an hour or two, then reload. If still nothing, just send a note. Thanks. If you encounter any odd behavior with the site, let me know. As I say, this is a trial run for me.